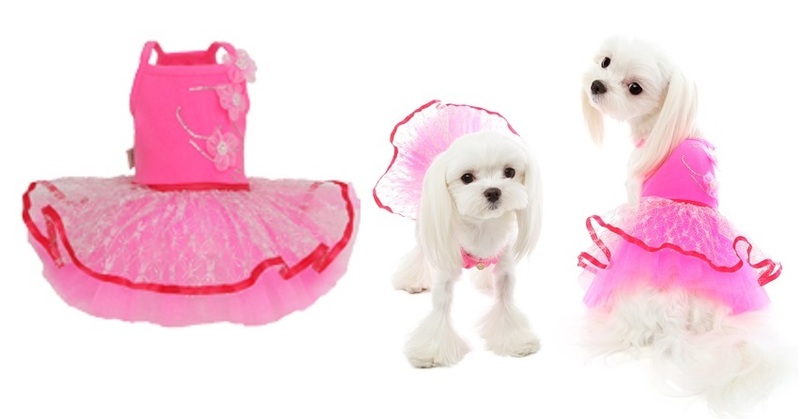 Your pooch will be the belle of the ball in a Tinkerbelle Tutu Dress from Puppy Angel. The cool cotton bodice is adorned with two flower corsages and decorated in tiny HotFix stones. 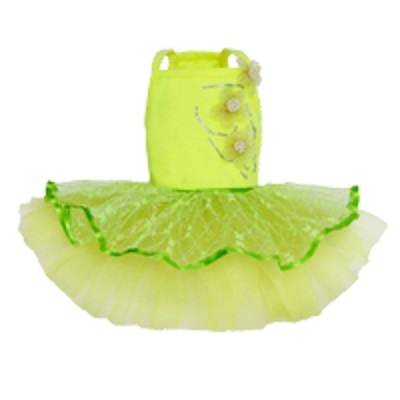 The tutu is made up of layers of chiffon mesh and covered in a lacey mesh overlay. 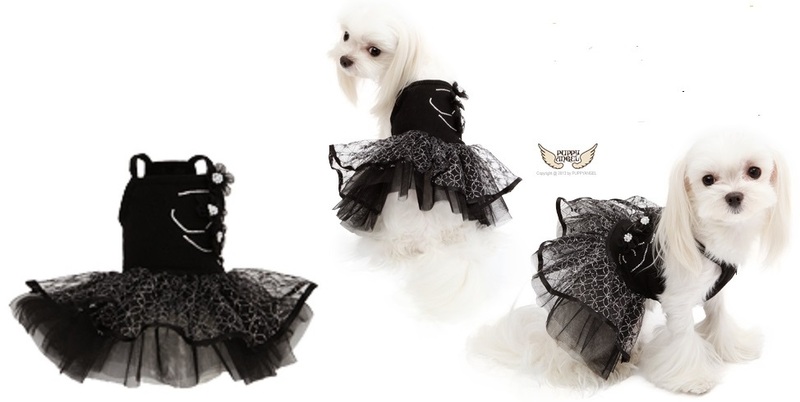 So unique and the best quality you can expect from Puppy Angel. 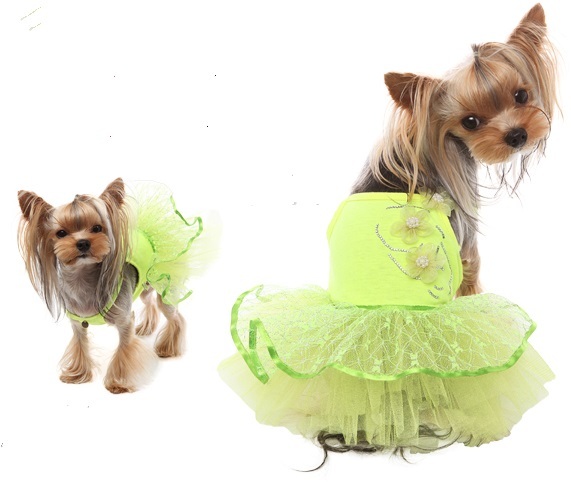 Choice of neon lime, black and hot pink.